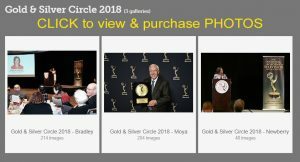 Professional photographs from the 2018 Gold & Silver Circle Induction Luncheon, held Oct. 20 in San Francisco, are still available for purchase. 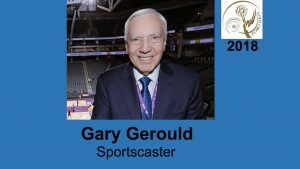 Sacramento sportscaster Gary Gerould was enshrined into the Gold Circle in honor and recognition of his more than 50 years of contributions and accomplishments to the northern California television community. 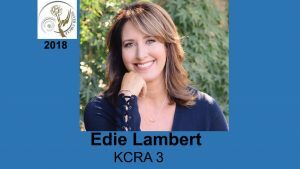 2018’s Silver Circle‘s honorees are Jessica Aguirre, news anchor, KNTV NBC Bay Area; Ken Bastida, news anchor, KPIX 5; Dianne Fukami, president/co-founder, Bridge Media; Edie Lambert, news anchor/reporter, KCRA 3; Stacy Owen, president/general manager, KNTV NBC Bay Area/KSTS Telemundo 48; and Kopi Sotiropulos, morning anchor and meteorologist, KMPH 26. Diane Donian Paskerian, who was inducted into the Silver Circle in 1989, was also honored at the Oct. 20 festivities, receiving the Governors’ Service Medallion in recognition of her many years of service and dedication to this Chapter. The Silver Circle is not an award — it is a society of honor. 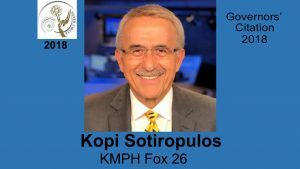 To be eligible for membership, individuals must have been actively engaged in television broadcasting for 25 years or more (with at least half of those years in the Chapter region), made a significant contribution to their local television markets and distinguished themselves within the industry and the community. 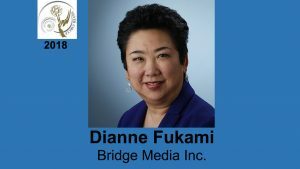 Silver Circle inductees are elected by current members of the Silver Circle. 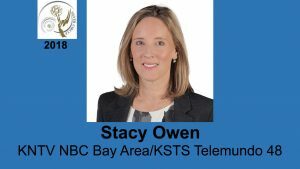 To date, there are 264 television professionals inducted, spanning 70 years of the television industry in the Chapter region dating back to 1948, when television arrived in San Francisco. 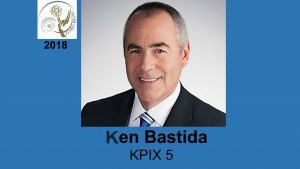 Download a photo for $6 each. 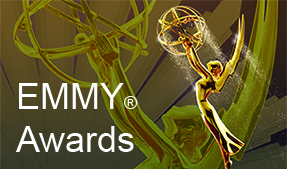 For a complete list of Gold & Silver Circle inductees, please visit the Circles page on the Chapter website at www.emmysf.tv/circles/.